Below is a 'directory' of informative minds, from crafty types to environmental enthusiasts, that have demonstrated their particular passion with us at Laneway Learning. Have a browse below and feel free to click through to their websites for more information on anything from products and services to workshops, gigs and other fantastic events. We've been honoured to be a part of many festivals in Melbourne, ranging across themes of sustainability, craft, science, food and art. If you think Laneway Learning classes would be a great addition to your festival then get in touch; we'd love to talk more! Craft Cubed is a festival devoted to all things crafty run by Craft Victoria. It is an annual event full of experimental and skilled craft design and we have been getting our fingers covered in sticky glue, coloured paper and glittery "bits and bobs" with these guys since 2012. Melbourne's Sustainable Living Festival aims to raise awareness and provide alternative lifestyle options to combat the ecological and social challenges we face. We are passionate about inspiring and empowering everyone to start living more sustainably. National Science Week, now in its 16th year, brings science to the people with around 1000 events nationwide. We have been working with National Science Week to organise awe inspring events since August 2013 and ran our 'Science Spectacular' in 2015. We are proud to be part of Melbourne Knowledge Week, celebrating research and knowledge strengths in Melbourne. In 2013, it began on the 28th of October, giving everyone in our wonderful city a chance to explore what Melbourne and Melburnians are doing that’s putting us on the world stage. The Age's Good Food Month, presented by Citi, is a citywide celebration of Melbourne's food culture. With tastings, demonstrations and classes, you'd be mad not to get involved every year! 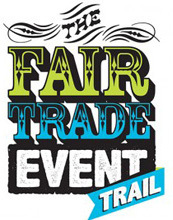 in May 2015, we joined The Fair Trade Event Trail which encourages individuals, groups and businesses to celebrate Fair Trade Fortnight. In 2014 we were excited to be part of Found Festival held at the Abbotsford Convent. Along with art exhibits and other performances, we ran some fun classes and had a fantastic time! You love to eat, and so do we! Food and drink classes at Laneway Learning cover everything from raw vegan, to bacon. 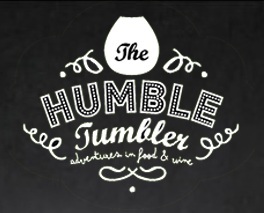 Clare Burder is the director and founder ofThe Humble Tumbler – a small Melbourne based business focussed on wine education and events. Clare runs classes with us about the basics of wine appreciation and other types of alcohol in an accessible, interactive and informative way – without all the fancy jargon. 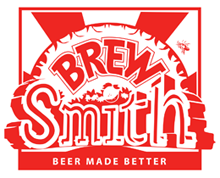 BrewSmith was founded to bring high quality and easy-to-use home brewing kits to Australia. Adrian, founder of BrewSmith, wasn't satisfied with the brewing kits on the market so he made his own – local beer starts in your kitchen! Maria Yebra is a self-taught passionate baker and cupcake maker, if there is such a title… She started decorating cakes as a hobby by doing cupcakes for friends' parties and soon she discovered fondant and how much fun it is! Maria's cupcake blog is where she posts about her latest fondant/cupcake creations. Tequila Tromba is an independent label produced in the highlands of Jalisco. One of their aims is to educate people about tequila and how it is more than just a late night shot! Discover the couverture chocolatiers from Xocolatl. With stores in Kew and Canterbury, visit to enjoy some delicious creations. Jackie Bender's blog DIY Feast has all sorts of tips and recipes, from cheese-making, to growing, to fermenting. Want to spice up your look, your house, or your event? Add some Laneway Learning style! Siobhan Donoghue runs her own interior design and branding studio in Melbourne for both commercial and residential clients. So, if you are thinking of updating a room, small space or even your whole house then why not give her a shout. Mel Lunardon is an interior designer who shares her ideas on her blog Design Talk. If your house needs a bit of a lift and you're stuck for ideas, check it out. Adele Locke knows all about light! Whether you want to show off your priceless paintings or redo your home lighting to go with the new paintwork drop her a line. Want to try something different with your hair? Theresa Winters is now available for private classes in braiding! Check out her page Braidiance and be the envy of your friends! Our original posies teacher has now started her own florist Tillda Flowers. Need something a bit special for your event: visit Tillda Flowers! Old School New School is Melbourne's place to study Communication Design and typography. Check them out if your lettering needs a boost. With such a huge universe, there is so much to learn! Expand your mind and learn something new. The Robots Are Coming is the brainchild of Scott Phillips, aiming to spread the wonders of 3D printing and its applications. At his workshops you can see the printers in action, and the amazing variety of objects that can be printed with them. Get ahead of the game! Many moons ago, Antonios Sarhanis was intrigued by some friends who formed part of a gang of solvers that got together to smash out the paper's cryptic crossword with good-natured gusto every Saturday morning. From such humble beginnings, his appetite for cryptic legerdemain grew, so much so that he ended up created a blog called datrippers.com dedicated to the wickedly clever Saturday crossword that David Astle (of Words and Numbers fame) sets. Jo Mitchell from The Mind Room runs classes in wellbeing and happiness based on solid science and positive psychology. Check out the variety of workshops available on their website. Peter Lake is an amateur astronomer and member of the American Association of Variable Star Observers and Variable Stars South. Peter's astronomy blog regularly carries news of amateur astronomers supporting real science, and other Citizen Science activities. George Halasz, our amazing Neuroplasticy teacher, is a regular guest on RRR's radio program Radiotherapy. Listen to it on Sundays at 10am. For those of you with an appetite for all things science, why not check out Chris Lassig and Stu Burns on the program Lost in Science, on 3CR Community Radio. If you have a creative bone in your body, then we've got you covered. Art and craft at Laneway Learning is as varied as the teachers who take our classes. If you've seen trees around Melbourne snug inside their crochet sweaters, then you've seen Yarn Bombing. If you want to get involved in fun guerrilla craft, check out Yarn Corner. The multi-talented Maria Yebra of the Cupcaketeer, along with her partner Steve Rowland, also runs a photography blog, documenting their latest exploits in light painting in combination with night photography and urban exploration. A gift store with a difference, Vera Chan has the perfect present for almost every situation and if you come to one of her classes you can pick up a pack to make your own glass and paper jewellery! Sayraphim Lothian brings craft to the streets and the people. Check our her webpage to see what she has gotten up to recently. Candy Sparkles is an artist and a terrarium savant, as you know if you've been in one of her crazy classes. Find out more about what she does on Candy's Facebook page. Japanese paper folding extraordinaire, Manuela Igreja's webpage shows off some of her incredible paper creations. If you like to live in balance with the environment, grab some ideas from these guys. BeeSustainable is a small shop front up in East Brunswick and sells local honey along with a host of amazing products to help you be more sustainble. Robert Redpath, has been running our Urban Beekeeping class since... forever! Music at Laneway Learning has ranged from ukuleles to choirs, opera to jazz, and some good old jam-sessions. Some of our teachers take their music beyond our classes: check out what they do and how to get involved! Harry Harrison teaches fantastic ukulele classes with us, and is part of the Melbourne Ukulele Kollective. If you want to take your budding ukulele skills to the next level perhaps you should join up? The photos above are borrowed and edited from various sources listed below.